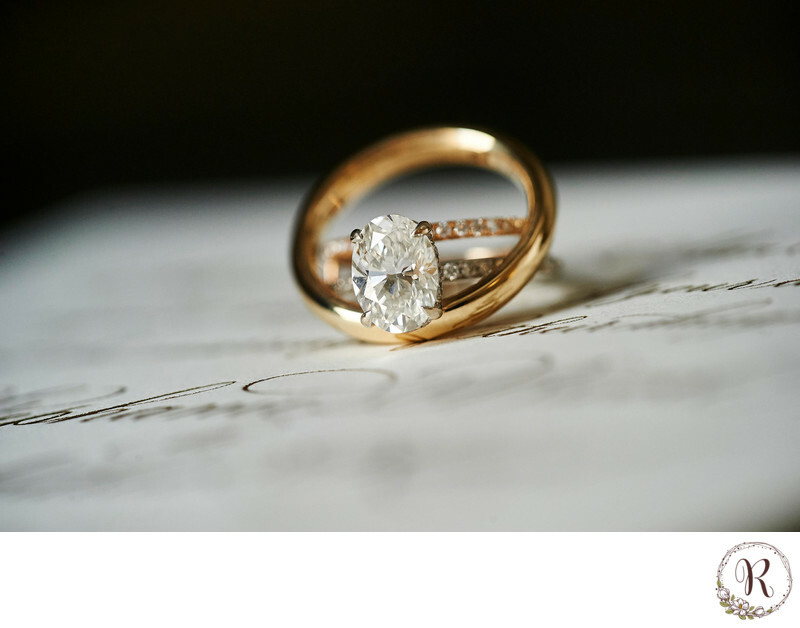 Wedding bands are amongst one of the most personal equally decided upon recognition of the commitment two people make to one another during their entrance into holy matrimony. For some they prefer matching bands as a set and others prefer their own unique styles as they have to wear they for the rest of their lives. Stephanie's and Erik's were truly one of our favorite sets, both timeless and elegant. Keywords: Four Seasons (48), Stationery (3), Wedding Rings (9).